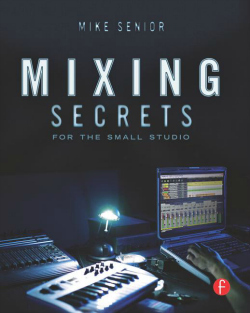 "Mixing Secrets for the Small Studio" by Mike Senior aims to help small studio owners get professional results. Read the review below for a peek at what it has to offer you. Your listening environment will determine to a large extent the quality of the tracks you produce. You probably know by now that a small studio can make it difficult to achieve professional mixes. It's exactly this issue that the book will help you resolve. You may have already come across Mike Senior's "Mix Rescue" in Sound on Sound magazine. The series has helped transform many amateur mixes to professional standards. Mike has also worked as an engineer with Wet Wet Wet, Reef, Therapy and Nigel Kennedy. Mike adapts techniques of top producers in order to help smaller studio engineers achieve commercial-grade mixing results. "Music Secrets for the Small Studio" is 302 pages long and covers a variety of aspects involved with mixing in a small studio. The end of each chapter has a "cut to the chase" section which summarizes the key points of the chapter. This makes it easy to get the basics at a glance. "Probably the most reliable way to waste your time in a small studio is by trying to mix before you can actually hear what you're doing. Without dependable information about what's happening to your audio, you're basically flying blind, and that can get messy"
"Most people who approach me because they're unhappy with their mixes think that it's their processing techniques that are letting them down, but in my experience the real root of their problems is usually either that their not able to hear what they need to, or else they haven't worked out how to listen to what they're hearing"
This is an-often overlooked, yet crucial, point. Your ability to have context and a frame of reference when you listen to material in the studio is a fundamental aspect of your ability to produce consistent professional mixes. "No monitors are truly 'neutral', and every professional engineer you ask will have his or her own taste in this department. Part of the job of learning to mix is getting accustomed to the way your own particular speakers sound." Mike advises you get the best monitors you can afford, mount them well and spend at least as much on acoustic treatment of your room as you do on your monitors. The low-end is notoriously difficult to get right in small studios so the section on how to limit the damage in this regard will serve you well. "Even if the low end of your monitoring leaves much to be desired or you're forced to work mostly on headphones, all is by no means lost - as long as you're willing to learn a few special mixing and monitoring techniques." 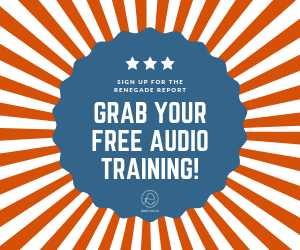 A few tips he gives in this section is to use workarounds to compensate for poor monitoring, block your speaker ports and compare the bass response from different listening positions to "average the room". Switch between different monitoring systems to make your decisions, and therefore your results, more effective. Also, take frequent breaks and vary your monitoring levels. Spend time to correct timing and tuning issues because this often is what differentiates an amateur mix from a professional one. Trust your ears above your eyes. Who is "Mixing Secrets for the Small Studio" for? "Music Secrets for the Small Studio" is a must-read for any beginner producer or engineer working in a small studio of course. I think beginner music producers will benefit most from this book although there is also advice that may be useful to intermediate producers. I suggest you definitely read it should you have less-than-perfect acoustics in your room or you feel you just want to step up your mixing game and achieve professional results in your small home recording or music production studio. This is by far one of the best books on mixing in small or home studios available for music producers like me and you. It's full of practical and to-the-point advice you can take and apply straight away to improve your mixes. So, order a copy today and get ready for great-sounding mixes!